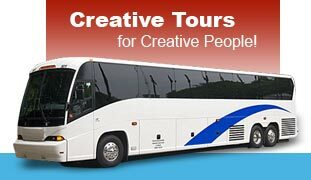 Creative Group Tours is an agency dedicated to providing the best in pricing and services to school music groups for their travel needs. Since its inception, the purpose of Creative Group Tours has been to provide group leaders with the guidance and manpower necessary to research and arrange quality economical trips for their group members. Until now, group leaders have had to take time away from their primary teaching responsibilities to deal with this research and arranging process. With the highly qualified and experienced staff of Creative Group Tours at their disposal, this is no longer necessary! Copyright © 2007 Creative Group Tours. All Rights Reserved.